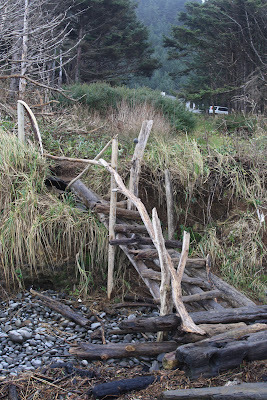 They were sturdy but the driftwood is slippery when wet and I had my painting pack on my back. I went slow and careful down the steps. If you look toward the upper right of the picture you can see my white car parked in the distance. I painted here for about two hours before I got too cold. I got rained on a little bit. I have switched to the water miscible oil paints and when they get wet they run, unlike regular oil paints. It was a challenge now and then. There was only a slight wind but enough to make it a cold wet day of painting. I liked this spot and will go back again since it is so close. I was happy to get back home to a hot lunch and tea. 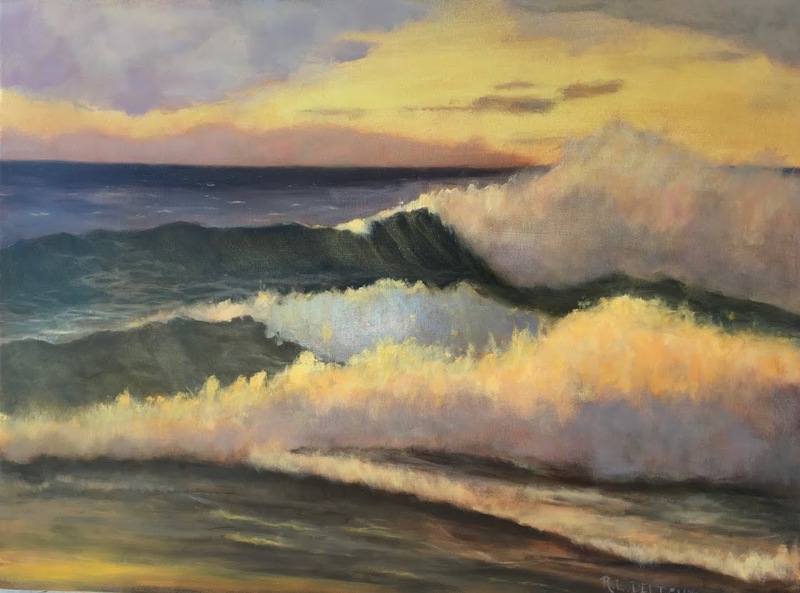 I did finish the painting, number 12 in the wave study series. I decided to take a picture of it tomorrow in the daylight. It was too dark to take a picture in natural light and the daylight bulbs just don't quite do the same. This time of year where I live it is too dark by 4pm. I will post it tomorrow. Speaking of tomorrow, I have another special outing planned. I have to drop off two of my paintings at the Cannon Beach Art Gallery. I volunteer there as a docent manning the gallery. This month is the docent's show where all of us volunteers get to display some of our work for sale. A bit of unfortunate timing for me as I am slowly changing the kind of work I do and only have older work but I am happy to have the opportunity. I will be taking my sweet girl Twill with me and after we drop off the work, I am going to go paint. 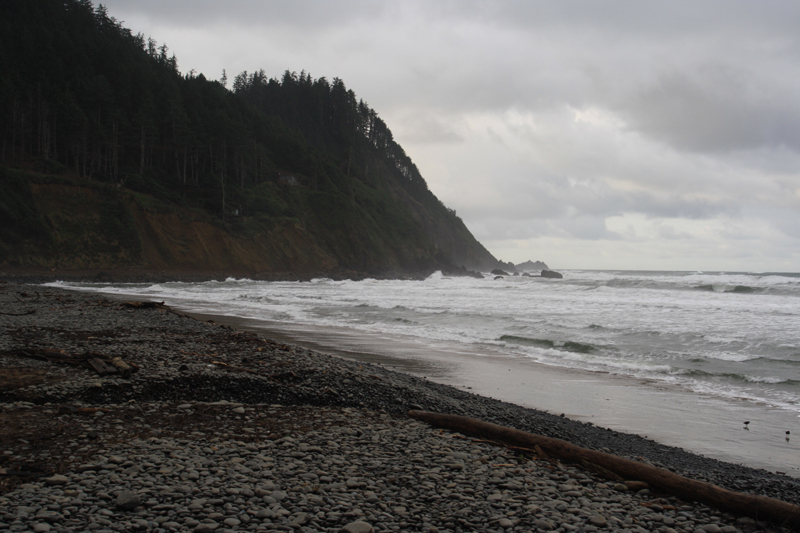 I am not sure if I will go to Ecola State Park, Hug Point, or perhaps Arch Cape or Arcadia Beach. I have to check the tides. 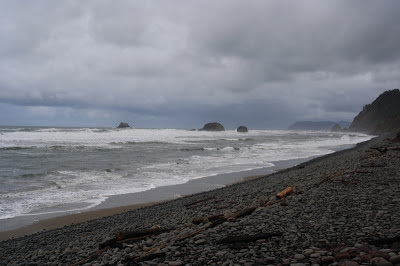 Unless it is pouring rain, I will take the camera again to share a bit of the beauty of the coast as well as my paintings. Twill and I will be making a day of it. It is getting late and we have a long day ahead of us tomorrow and I best get ready. A final note for those who read past the special section in a previous post. It is a definite thumbs up on the pStyle. Works just fine.